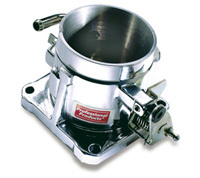 Our Mustang Power Throttle Bodies are beautifully crafted from permanent mold castings. Permanent molds produce higher quality castings than conventional sand molds with reduced porosity and a better finish. Want this item shipped out tomorrow, April 24? Order within the next 23 hrs 25 mins.